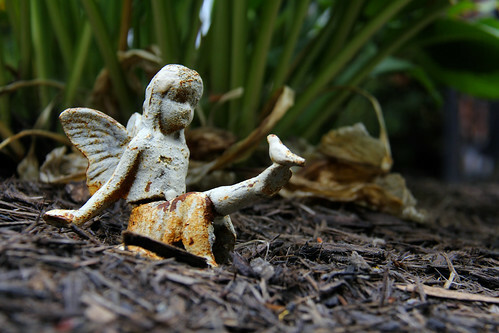 This little fairy appeared in our garden sometime in the past week. The temperatures have been so hot this summer that I've barely paid any attention to the yard beyond some basic pruning and weed control, but after a couple rounds of much-needed rain the garden was cooler and pleasantly damp, and I rushed out to see what I could find. This is also the first time in a couple of weeks that I've shot with the 60D; I knew I had been missing it but hadn't realized how much.